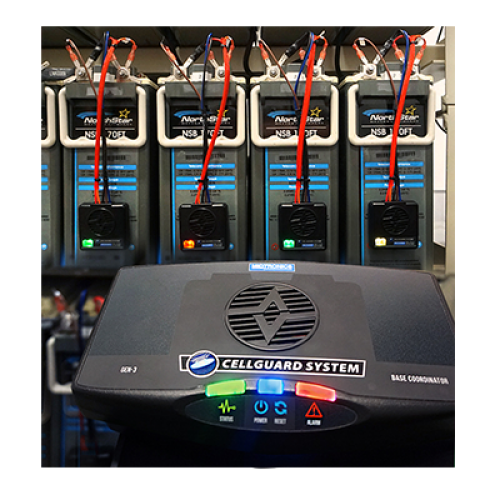 Battery backup systems provide the needed reserve power to mitigate the potential for disruption. These systems are dependent on the specified performance of batteries, an electro-chemical device prone to failure and premature degradation. To ensure health and availability of battery power, a battery monitor “closes the critical loop” of reserve power protection. Telecom service providers have designed the traditional wire-line telecom and wireless network systems for high service availability, and that reliability depends on the availability of power from the battery plant. 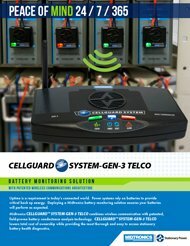 The deployment of CELLGUARD SYSTEM-GEN-3 TELCO supports that reliability through efficient and effective assessment of battery performance and condition. 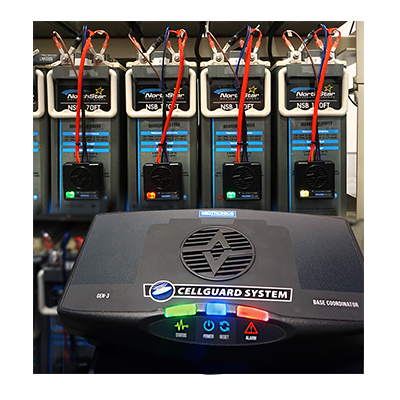 CELLGUARD SYSTEM-GEN-3 TELCO combines patented wireless communication with field-proven battery conductance analysis technology to provide proactive battery health monitoring. 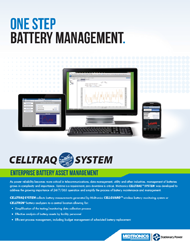 Further, it lowers total cost of ownership by identifying early stage battery degradation, eliminating emergency battery replacement and reducing energy expense. Delivers​ ​battery​ ​reserve​ ​capacity​ ​warnings​ ​and​ ​significantly​ ​fewer​ ​Charge​ ​& Retest​ ​decisions.